A deeply clarifying facial tonic for post-cleanse balance and refinement. 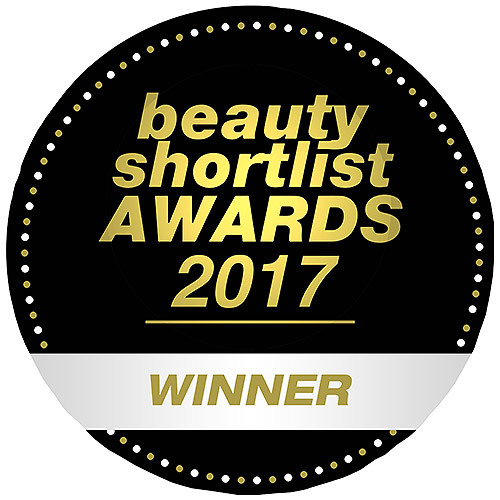 Quince aids in balancing excess oil, while white tea extract, pomegranate and bilberry extracts impart antioxidants and vitamins to the skin, purifying the pores. Detoxifying coconut extract, rooibos tea and willowherb may assist in guarding against break-outs, and added chamomile, aloe vera and cucumber extracts maintain calm, soothed skin. Water (Aqua), Glycerin, Cocos Nucifera (Coconut) Fruit Extract, Aloe Barbadensis Leaf Juice, Cucumis Sativus (Cucumber) Fruit Extract, Cydonia Oblonga Leaf Extract (Quince), Camellia Sinensis Leaf Extract (White Tea), Aspalathus Linearis Leaf Extract (Rooibos), Chamomilla Recutita (Matricaria) Flower Extract (Chamomile), Epilobium Angustifolium Extract (Willowherb), Punica Granatum Fruit Extract (Pomegranate), Vaccinium Myrtillus Fruit Extract (Bilberry), Caprylyl/Capryl Glucoside, Sodium Cocoyl Glutamate, Polyglyceryl-5 Oleate, Glyceryl Caprylate, Citrus Nobilis (Mandarin Orange) Peel Oil, Lavandula Angustifolia (Lavender) Oil, Backhousia Citriodora Leaf Oil (Lemon Myrtle), Citrus Aurantifolia (Lime) Oil, Citrus Aurantium Amara (Bitter Orange) Leaf/Twig Oil (Petitgrain), Citric Acid, Phenoxyethanol, Benzyl Alcohol, Limonene*, Linalool*. Soak a cotton pad or cloth and gently wipe over eyes and face after cleansing or exfoliating. 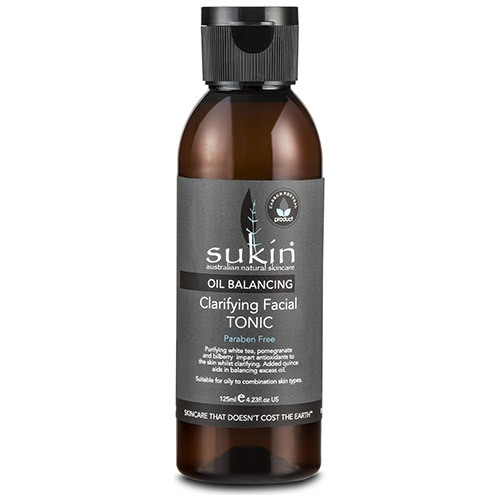 Below are reviews of Sukin Oil Balancing Clarifying Facial Tonic - 125ml by bodykind customers. If you have tried this product we'd love to hear what you think so please leave a review. Excellent, very cooling on the face.